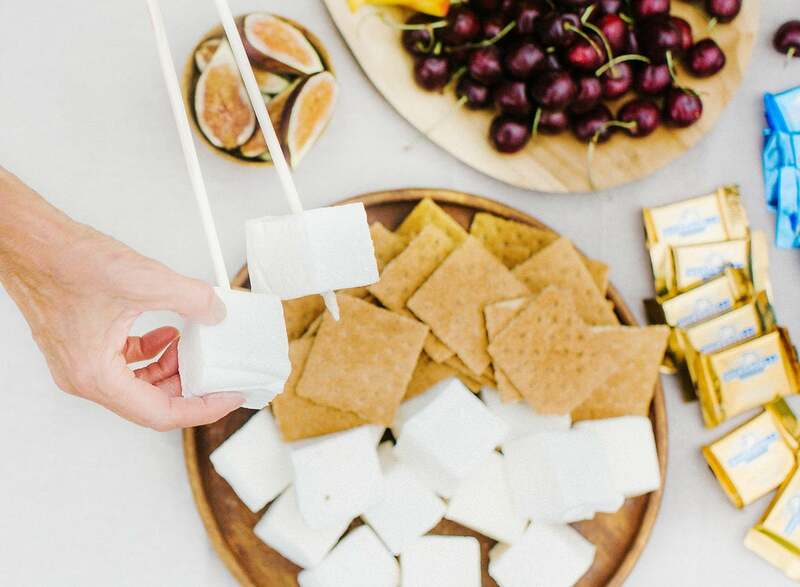 How to throw a fun, festive, but gourmet S’mores Bar Party complete with homemade s’mores and fun flavor ideas that’ll impress everyone. Some of my best memories revolve around a fire, making s’mores. 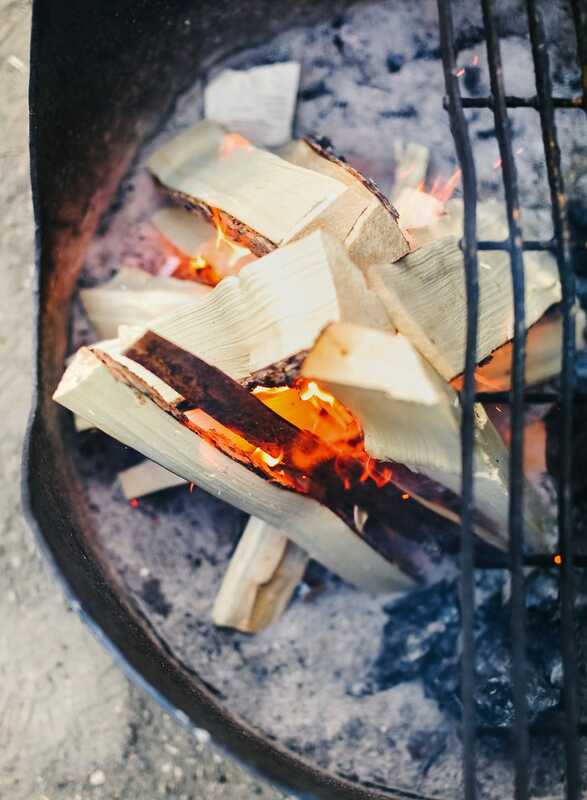 Whether we were camping or staying at a cabin up in northern Arizona, or just around a fire pit in someone’s backyard, there’s something so fulfilling about spending time around an open flame with people you love. Especially when s’mores are involved. I didn’t learn how to make a perfect s’more for myself until junior high school. I was at my friend’s house and her mom whipped out the s’more fixings and supplies and fired up the flame of their outdoor fireplace. She showed me how to toast my marshmallow perfectly evenly, but also enough so the inside was just warmed through while still holding its shape. That way by the time I sandwiched it between graham crackers the chocolate would become just slightly melty. Enough to enjoy but not so much that you ended up with chocolate everywhere. That’s my definition of a perfect s’more, but I know many people who like their marshmallows barely toasted and their chocolate still snappy and hard. Others like to create a big oozing mess and enjoy licking their fingers of it all once the s’more is gone. That’s why a s’mores bar party is SO much fun! 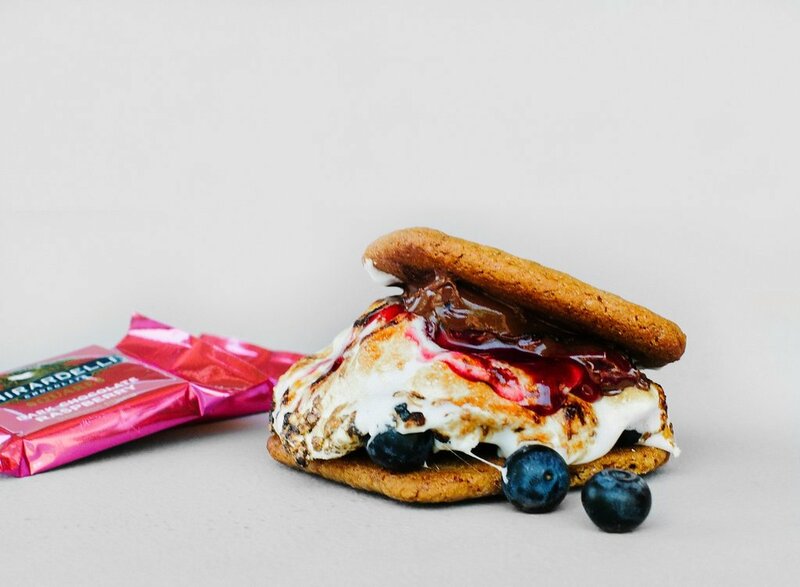 Everyone gets to customize their s’mores perfectly, from taste to texture, all while enjoying each other’s company. 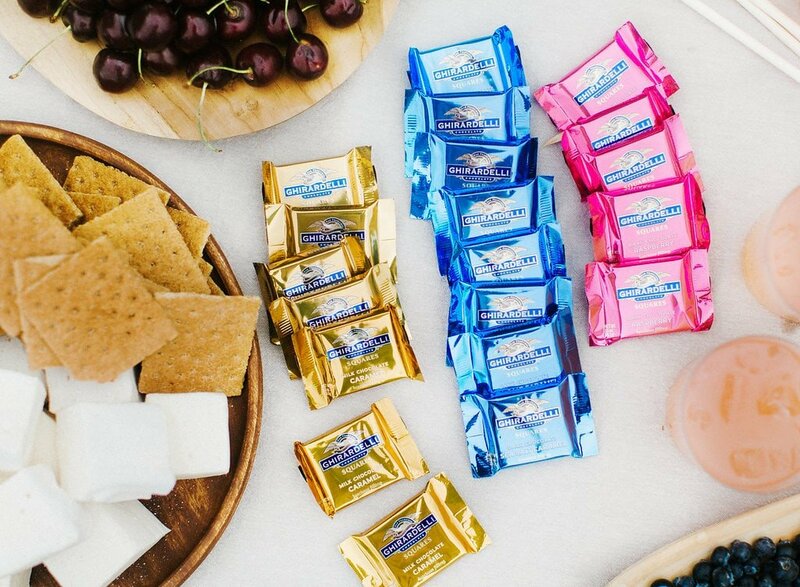 I couldn’t think of a more perfect partner to make this S’mores Bar Party happen than Ghirardelli, my favorite brand of premium chocolate. They sent me a ton of their chocolate SQUARES to work with, and even though I’ve been thinking, eating, and dreaming about s’mores the past few weeks and I still can’t get enough of them! Let’s dive into the essential components of a S’mores Bar that’ll wow all your friends and family – plus, some of my favorite combinations! It’s so much easier than it looks. The full “recipe” that you can print out for a handy reference is at the bottom of this page as well. To me, this is the most important part of any decadent s’more. 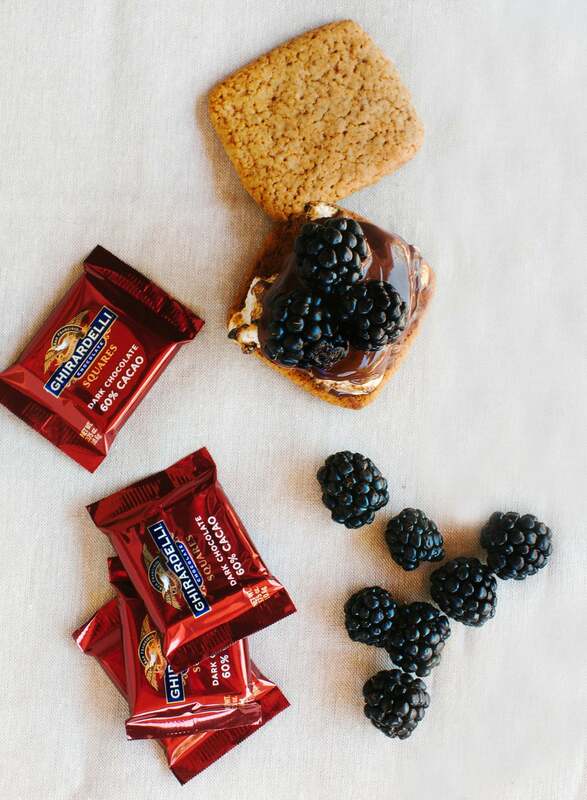 The easiest way to take your s’mores to a new level is to up your chocolate game. 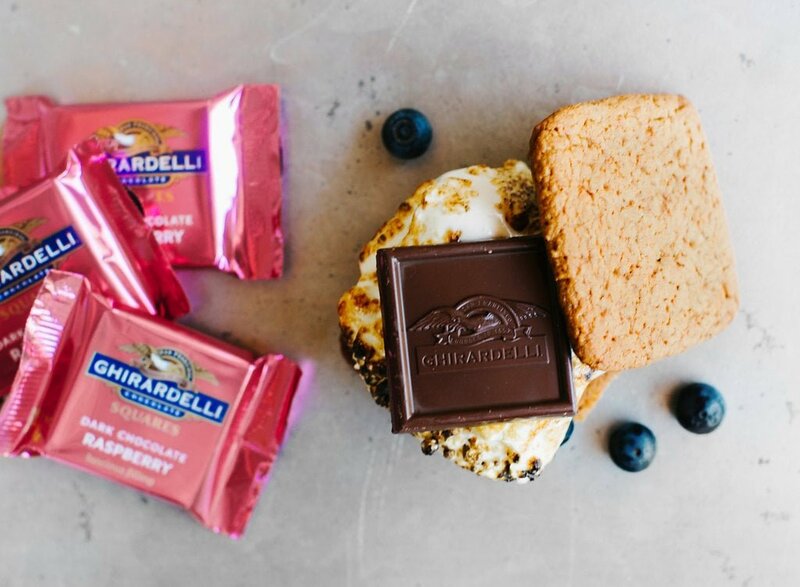 Not only are Ghirardelli SQUARES the perfect size and shape for s’mores, but they also melt slowly and offer a super fun and easy way to customize flavor combinations. Plus! 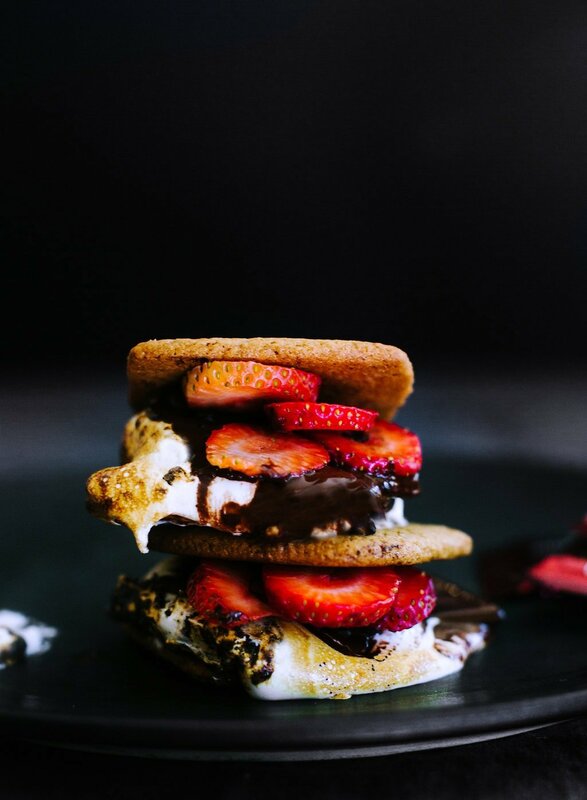 There’s such a wide variety of flavors and luscious fillings – the possibilities for fun s’mores combinations are endless! 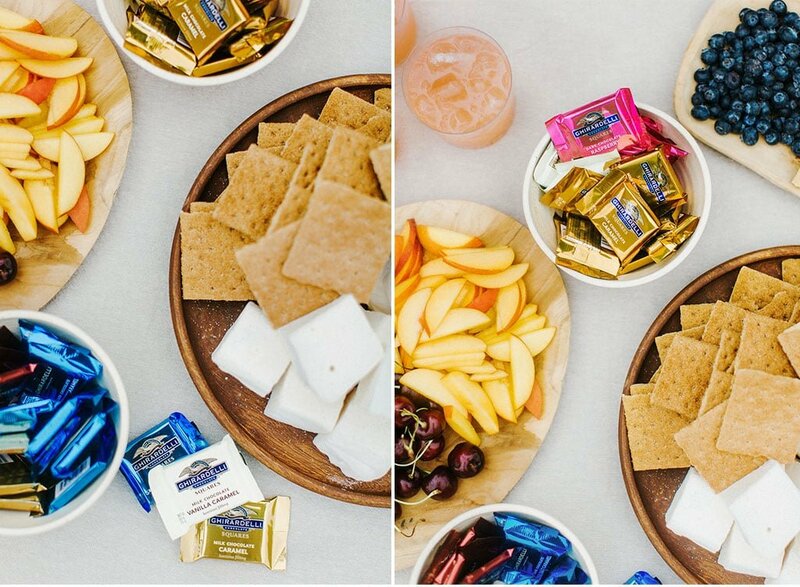 Most summer parties, cookouts, and BBQs need to be both kid and adult friendly, which is why I love placing a variety of SQUARES on my S’mores Bar. One of my family’s favorites is the classic Milk Caramel SQUARE, there’s some stashed away in our pantry so they’re an absolute must for s’mores. Dark Chocolate & Bourbon SQUARES are richer and darker, and all about the balance of the buttery caramel filling with that decadent twist of bourbon. Making any combination with them fit for a more mature palette. Flavors like Dark Chocolate Raspberry and Milk Chocolate Vanilla Caramel (only sold at Target stores, nationally), are a sweet treat for the kids. My favorite part about using filled Ghirardelli SQUARE for s’mores? Getting to bite into the luscious filling that runs out over the toasted marshmallow and crunchy graham cracker. It’s a summertime experience that’s pure heaven! 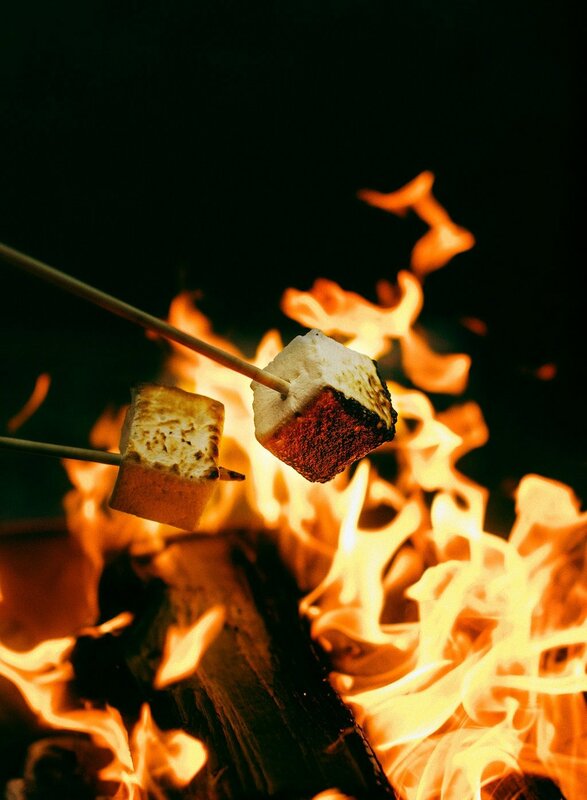 There is a night-and-day difference between homemade and store-bought marshmallows. 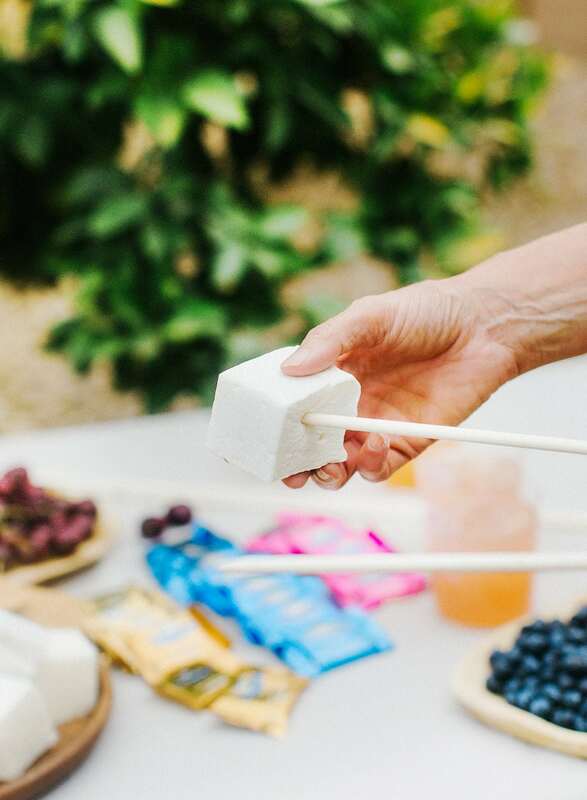 If you really want to impress your friends and create a s’mores bar everyone will rave about, then homemade marshmallows are a must. They’re definitely more work, but I have a full post explaining how to make perfect homemade marshmallows here. The best part? They can be made 3 WEEKS ahead of time! For my s’mores bar, I took the above marshmallow recipe and doubled it, but kept the 9 by 13-inch pan. The result was ultra thick marshmallows that could get super toasty on the outside, but gooey and sticky inside. I also have some fun flavor customization options in that blog post because every homemade element of any s’more is an opportunity to get creative. Again, homemade makes a world of difference. Homemade graham crackers are full of flavor and have such a superior texture, and they can be made ahead of time just like the marshmallows. 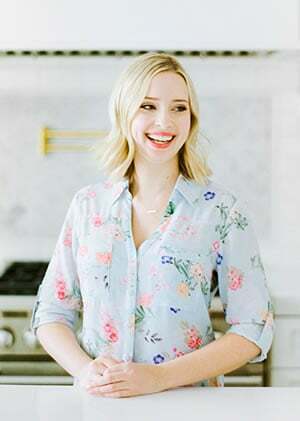 I used my favorite graham cracker recipe from Smitten Kitchen because it’s straightforward and I usually have all of the ingredients already on hand. Who has graham flour just lying around in their pantry? What I love about making the crackers is that I can cut the dough so the crackers bake to be an even square so the entire s’more is perfectly shaped and not too big. If you don’t have the time to make homemade graham crackers, then I’d recommend getting a variety of fun crackers and even cookies from your favorite bakery. 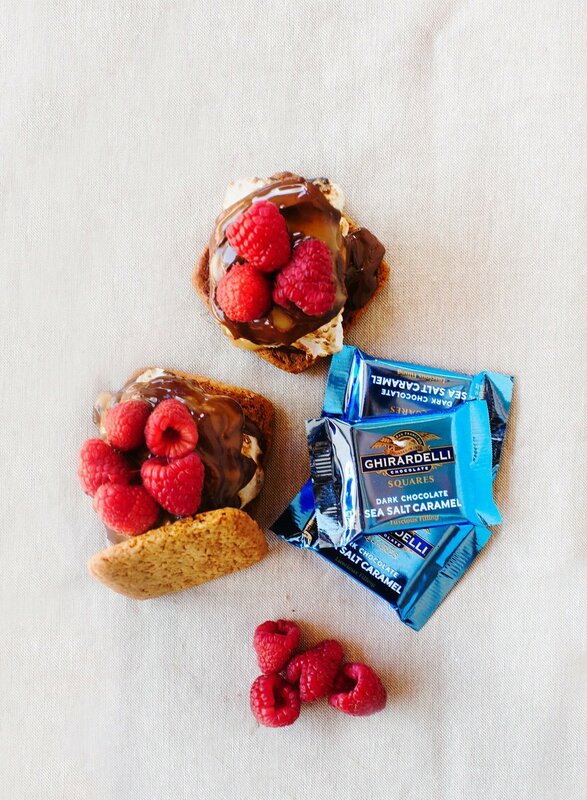 Chocolate graham crackers, buttery crackers, even chocolate chip cookies would be fun! 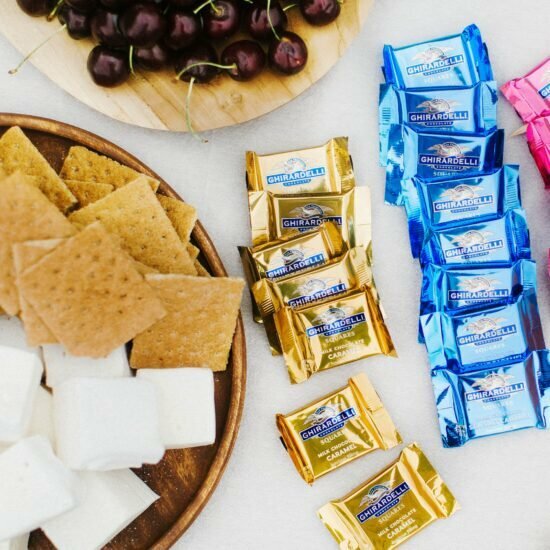 When throwing a S’mores Bar Party, unique additions make for a beautiful table and interesting flavor options everyone will love. Lastly, it’s time to cover off on the essential supplies: plates, napkins, knives, and serving trays. Also, don’t forget to haul out a trash bin so everyone can relax outside. If you’re planning on using a campfire or fire pit, be sure to pick up any firewood or other supplies you’ll need. Most importantly, don’t forget the skewers! If you don’t have access to a fire, then you can always make do with a gas stove burner or an oven broiler, or even a large candle! So what do you think? 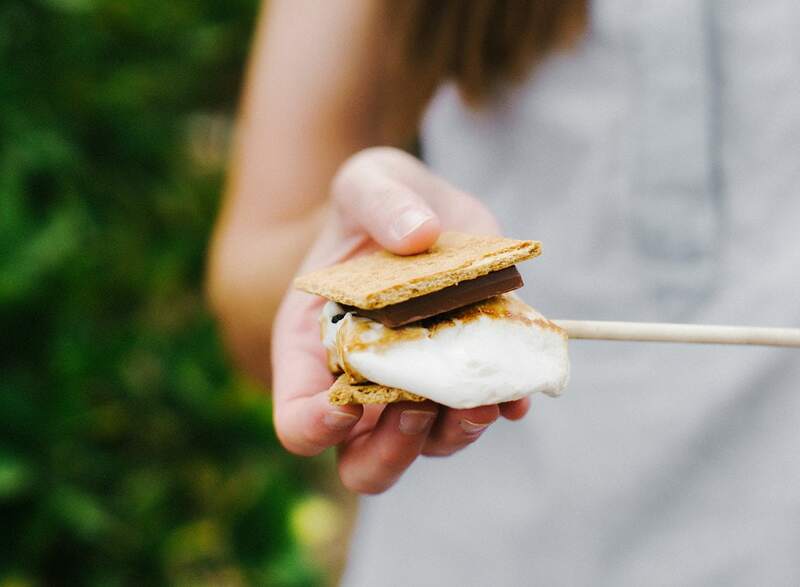 Will you be hosting a s’mores bar party of your own any time soon? Or maybe you’ve hosted one before? Let me know! If you end up recreating your own, snap a picture and upload it to Instagram using #handletheheat and #ghirardelli so we can see! Slice your homemade marshmallows into even squares using a pizza wheel coated in powdered sugar. 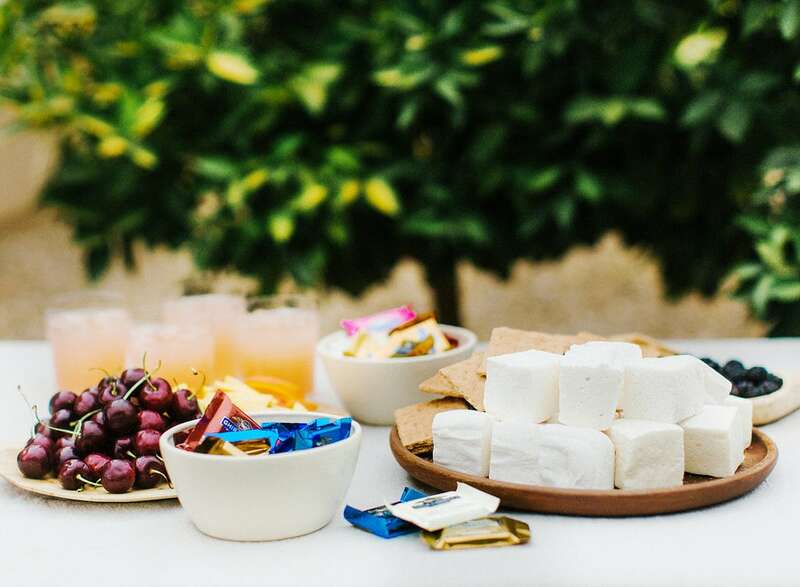 Arrange the marshmallows and all of your s’mores fixings on a table. 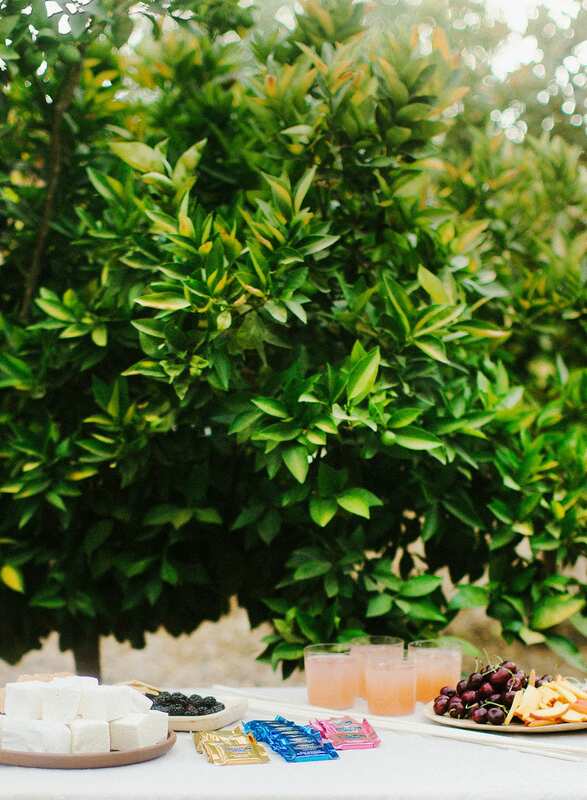 If it’s a warm day, keep the chocolate inside or under shade until your guests arrive. 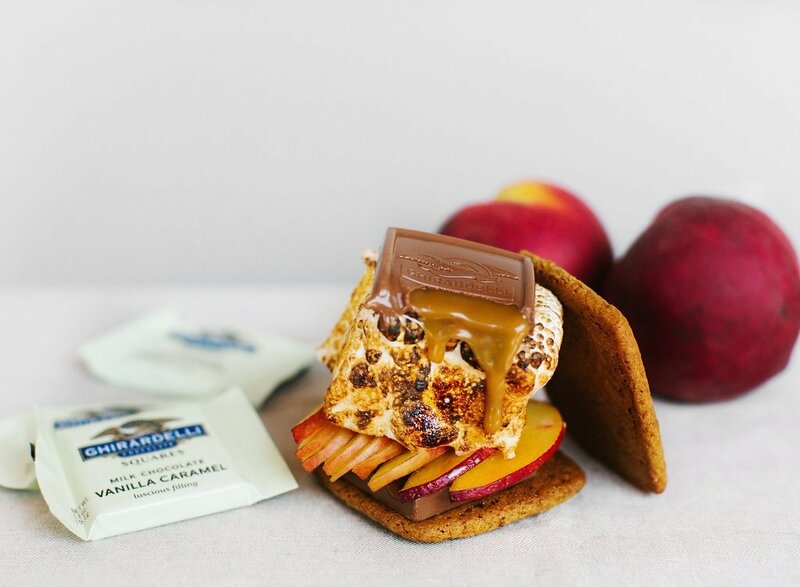 Place your favorite Ghirardelli SQUARE on a cracker, then top with the warm toasted marshmallow. 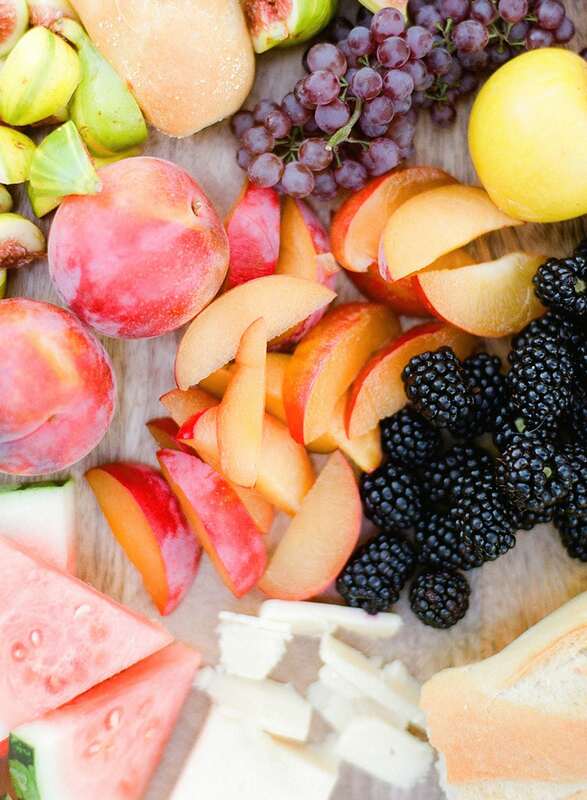 Add in any desired fruit or flavor boosters before topping with another graham cracker. Press together.